When someone mentions Walt Disney World, the Magic Kingdom is probably the first of the four Disney theme parks to pop into your head. It was the very first park at the Disney resort, opening in 1971, and it's still the one that so many families love best. People share it across the generations, bringing their children and grandchildren to get that first magical glimpse of Main Street USA and Cinderella Castle just as they did themselves when they were young. Like Disneyland, the Magic Kingdom is designed on the premise that parents should be able to do things with their kids rather than sitting off on the sidelines. 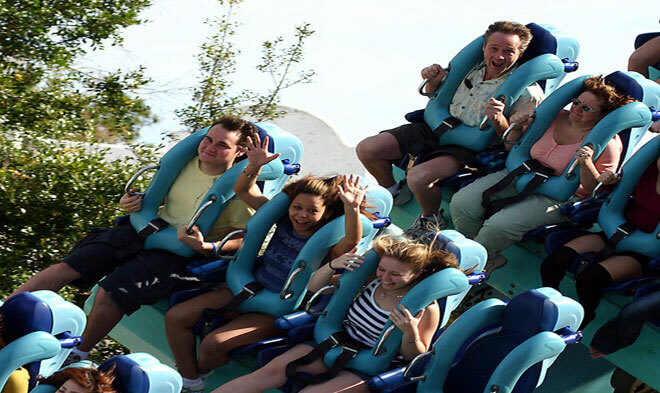 Although some of the rides, like Space Mountain and Big Thunder Mountain, have mild thrills, almost all are suitable for all ages and levels of bravery. The Magic Kingdom has a hub-and-spokes layout, with several different themed lands. Adventureland is home to rides like the Jungle Cruise, which takes you on a voyage through the habitats of many Audioanimatronic animals as you listen to your skipper's corny but kid-pleasing jokes, and Pirates of the Caribbean, featuring several appearances by Captain Jack Sparrow. Tomorrowland is home to the future as it was envisioned years ago. 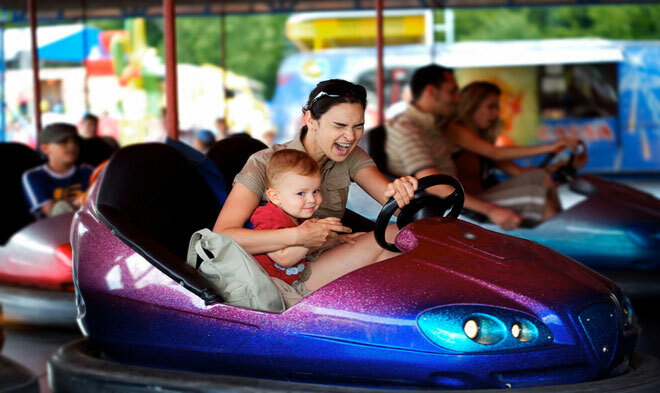 Its most popular rides are Space Mountain, an indoor roller coaster, and Buzz Lightyear's Space Ranger Spin, a competitive shooting game and ride all rolled up into one. If you want a little taste of Walt Disney's original vision, see the Carousel of Progress, a show that follows an Audioanimatronic family's progression through more than a hundred years of new technology. 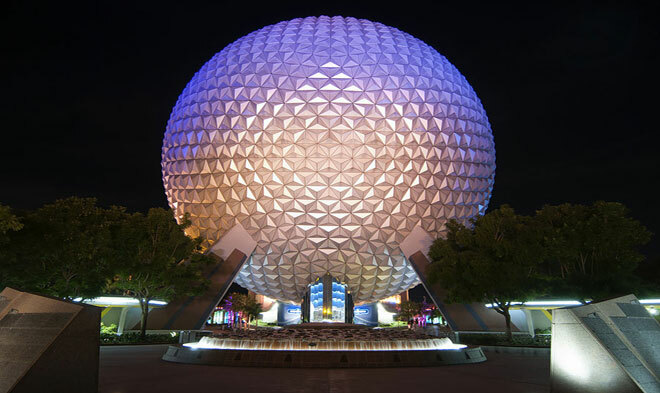 Walt originally created it for the World's Fair before it went to Disneyland, then moved on to a permanent home in Florida. 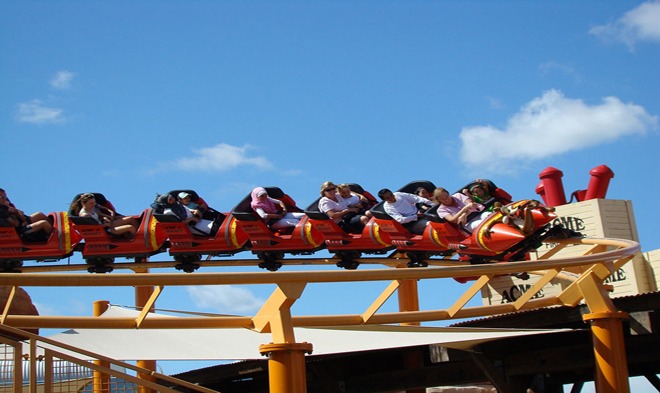 Frontierland is themed to the Old West, with a runaway mine train roller coaster known as Big Thunder Mountain. Splash Mountain is a water ride themed to “Song of the South,” with a hair-raising plunge at the end. Nearby, Liberty Square is where you'll find attractions like the Hall of Presidents and the Haunted Mansion. 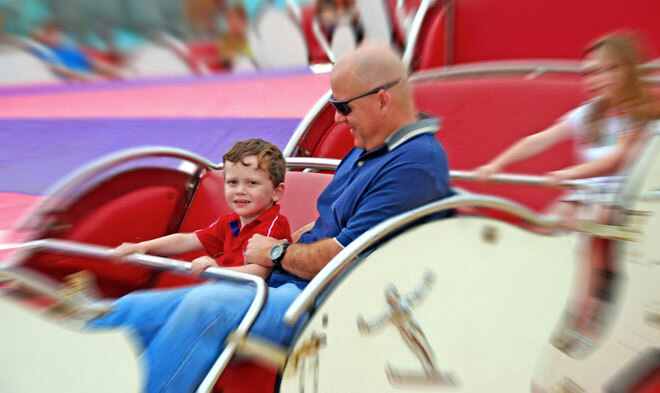 Don't worry, these are friendly ghosts, so even younger kids typically enjoy this ride. Fantasyland is perhaps the most popular spot in the Magic Kingdom, so much so that it was recently expanded to nearly double its size with the addition of the New Fantasyland area. Classic rides like Dumbo, Peter Pan, and It's a Small World have been joined by Journey of the Little Mermaid and a special interactive storytelling show with Belle and Lumiere. New Fantasyland is also home to a new and impressive castle, straight out of “Beauty and the Beast,” that houses the Be Our Guest Restaurant. 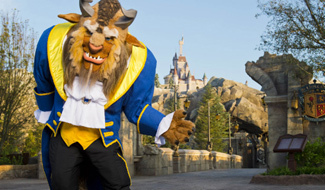 Besides its ambiance, which includes a dining room modeled on the famous ballroom scene where Belle dances with the Beast, it's the only place in the Magic Kingdom where parents can enjoy an alcoholic beverage. With the amount of rides and shows at the Magic Kingdom, not to mention the opportunities for photos with Mickey Mouse and friends, plus daily parades and nightly fireworks, it takes at least one full day to see the whole park, or at least most of it. 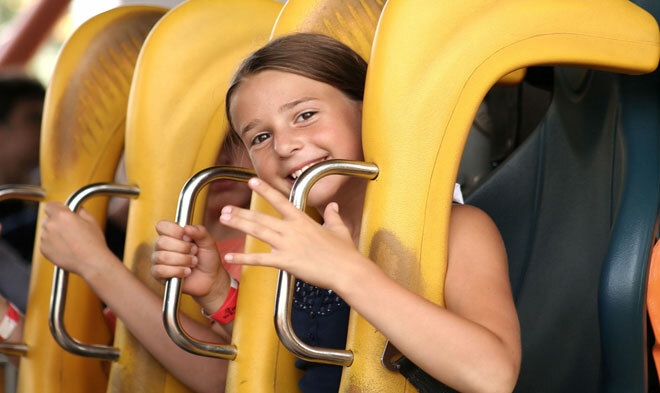 If possible, allow two days to ensure you get to experience everything, including some playtime for the kids on Tom Sawyer Island and a few rounds of Sorcerers of the Magic Kingdom. The Sorcerers game can easily keep your family busy for a day on its own if you work your way through every mission and level. Kids who like video games and trading cards will immediately get addicted to the spell cards and want to see how many villains they can defeat. If you're at Walt Disney World around Halloween or Christmas, you might want to attend one of the after-hours holiday parties. Mickey's Not So Scary Halloween Party lets kids (and adults) deck themselves out in costumes and go trick or treating at various stations throughout the park. Mickey's Very Merry Christmas Party is a cheerful time, with snow on Main Street USA and free cookie and hot cocoa stations set up around the park. Both events have special parades and fireworks, too, as well as opportunities for photos with the characters in special holiday garb. 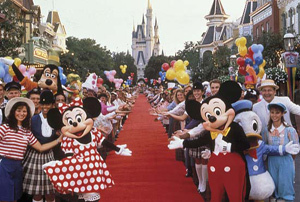 Check out the hotels, vacation homes, and packages at www.orlandtravelproviders.com or call 1-800-618-5002 for help in planning your Walt Disney World trip, and don't forget to make the Magic Kingdom a priority.